My guild, the Vancouver Modern Quilt Guild, is participating in a nationwide pincushion swap! I am excited! I love swaps, its is so much fun to send your work out and get something back in the mail. Its like Christmas! 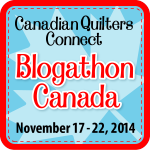 You can find more information on the swap at the Vancouver Modern Quilt Guild Blog. You can also find information about the guild and how to join. 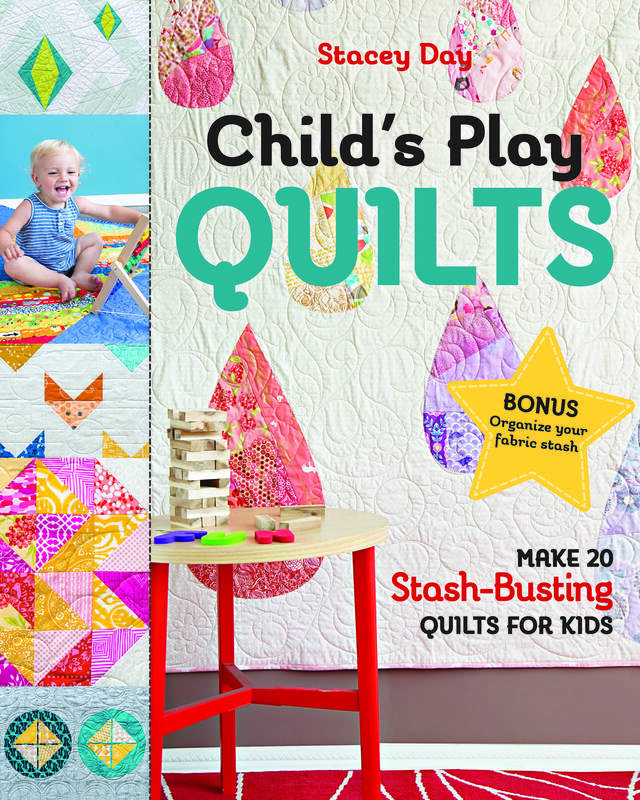 We love to see new faces and quilts! Everyone is welcome, there is such a wide inspiring range of talents! Holly, of (Holly’s Red Bike), Felicity posted a couple pincushion tutorials on the VMQG blog ( thank you Holly for the correction) and I was immediately drawn to the Cathedral Window Pincushion over at My Go-Go Life. I have always wanted to try a Cathedral Window quilt, but have never gotten around to it. This pincushion was the perfect way to the try the technique, and now I am hooked. I am going to tweak it a bit and try a couple of things out. I really enjoy all the tutorials Kim has on her blog, and I hope you all head on over and check it out! 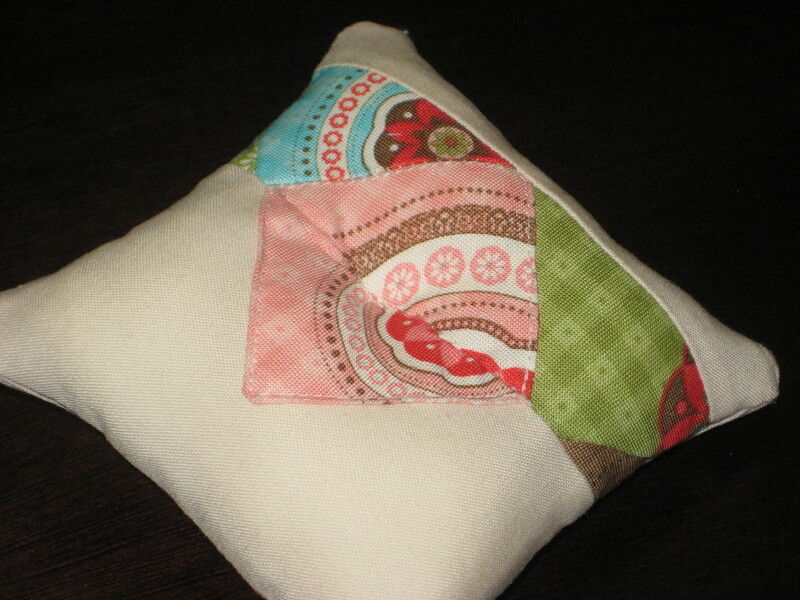 For my pincushion I used a Kona Solid in Linen for my square, and used Moda Bliss for my pops of color. The grey polka dot in the center was a random fat quarter I picked out of my stash. It might be a Riley Blake fabric…. I had so much fun making the front and realized I has some good scrappy pieces left over so I decided to have fun with the back too! 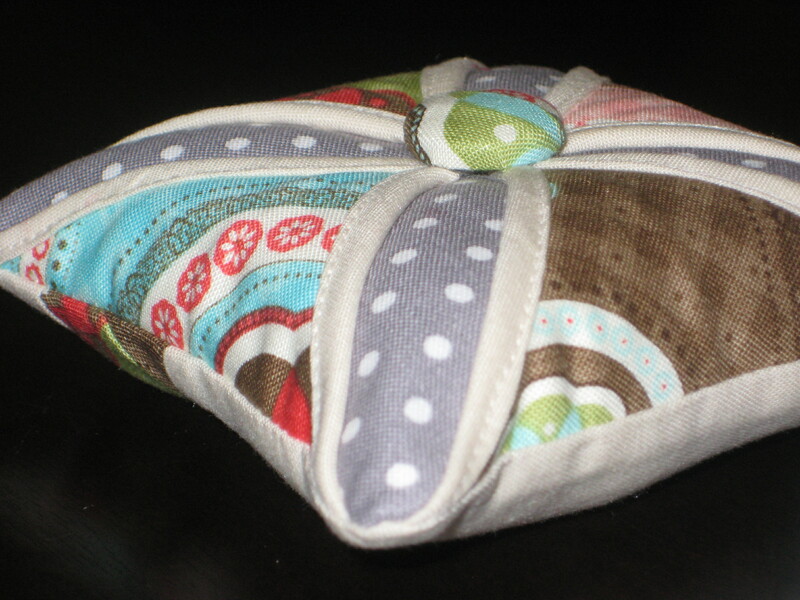 I also made a covered button with the leftover scraps from that, and voila! A Cathedral Window Pincushion. I am going to make some more for and exciting event coming up with the guild, but more on that later! « Starburst Quilt Tutorial from Happy Quilting…and Baking! Your pincushion turned out great! 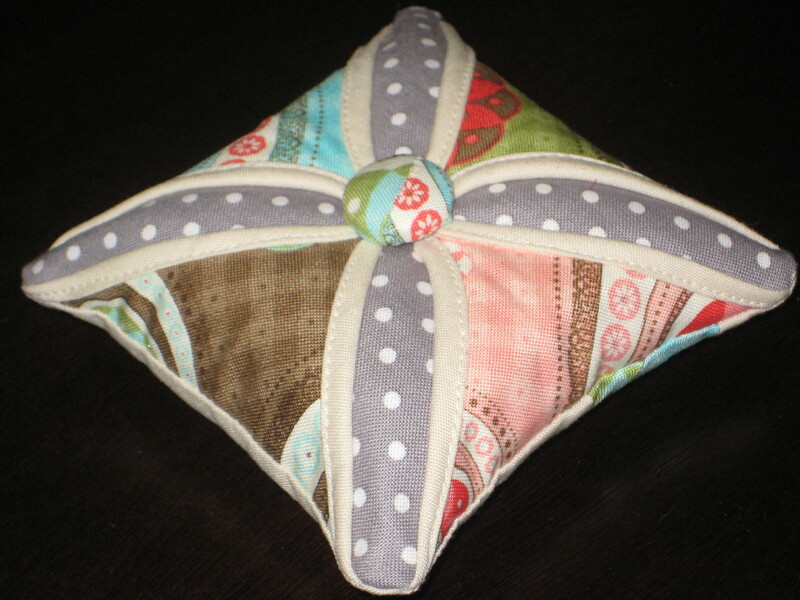 I’ve been wanting to try that Cathedral Windows pincushion tutorial. By the way, it was Felicity who did the blog post (in her new role as Social Media Coordinator for the VMQG) and Amy pinned dozens of pincushion tutorials on Pinterest. Now I’ve got to decide what kind of pincushion to make!